A well built and managed brand will open doors to other jobs such as endorsements, brand ambassador/influencer, events, adverts, compere of events etc. thereby keeping the financial aspect fluid and balanced enough to reduce the depression that comes with financial stress. A short-lived brand leads to a short-lived career and a crumbling financial position which can lead to depression and even suicide. 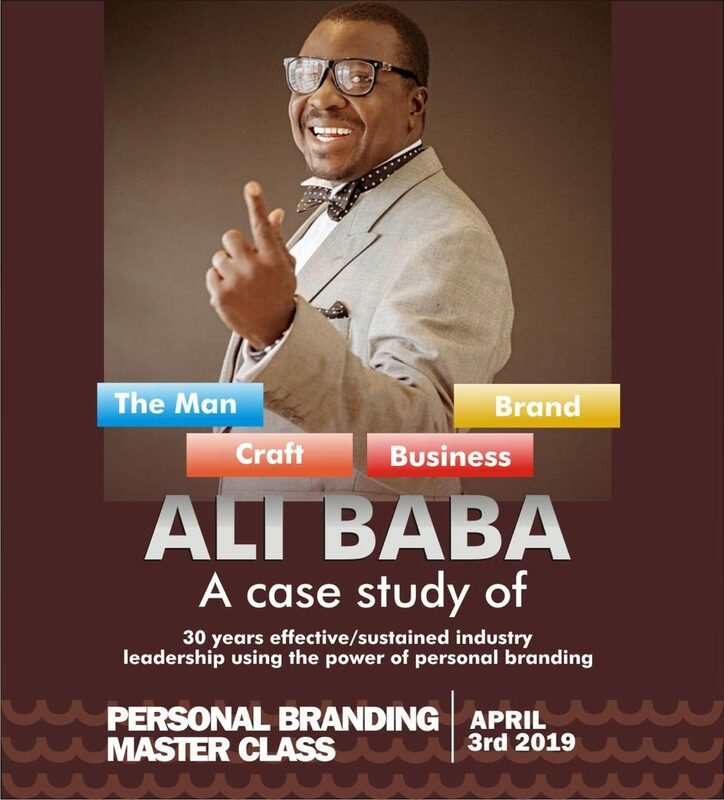 There are strategies involved in building a successful personal brand and veteran comedian Ali Baba will be shedding more light on this in the personal branding masterclass holding in Lagos on the 3rd of April 2019. 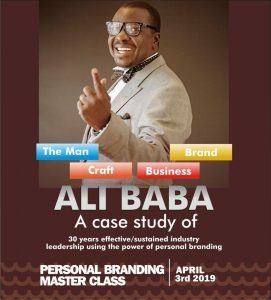 Ali Baba has been in the industry for well over 30 years and one of the few people that has been able to build a good brand. He has survived various challenges in his career (economic, social, political) and is in the best position to guide upcoming celebrities’ on how to navigate the turbulent socio-economic climate in Nigeria that could favour your brand one day and the next might work against your brand.